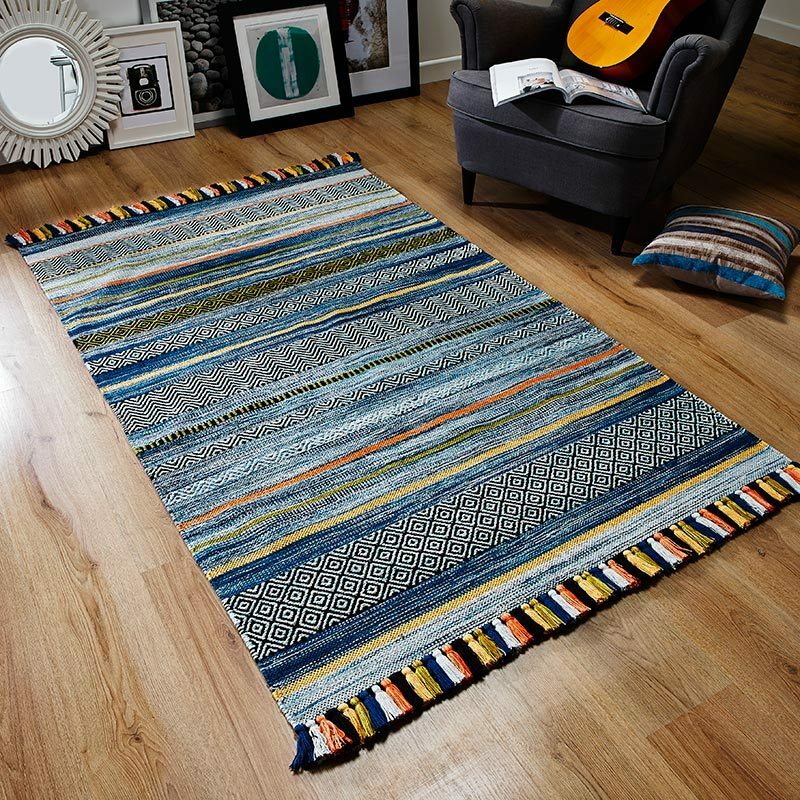 Canyon rugs are both beautiful and effortlessly stylish, helping to add a seriously desirable finishing touch to your floor space. Canyon Rug Blue Grey Sand 52014 7272 features a heavyweight pile of 55% Polyester and 45% Heatset Polypropylene - offering outstanding durability and silky luxurious hues for seductive visuals. When you look closely at the intriguing pile surface; the structured pile height differences within the design can be seen and the incredible level of detail and craftsmanship adds to the room enhancing appeal of this stunning rug. The Canyon collection of rugs from Mastercraft have an intricate 1 million points per square meter and weigh a heavy 3150 grams per meter and the pile is approximately 11mm high. They are woven to the highest standards in Belgium and they very easy to maintain so they will look gorgeous for years to come.